FRESNO, Calif. -- An Internet sensation, the Anaconda Burrito is becoming more than just a lunchtime hit. The burrito is a 3 foot long, 5 and a half pound monster made at Taqueria Yareli's in the heart of Fresno. 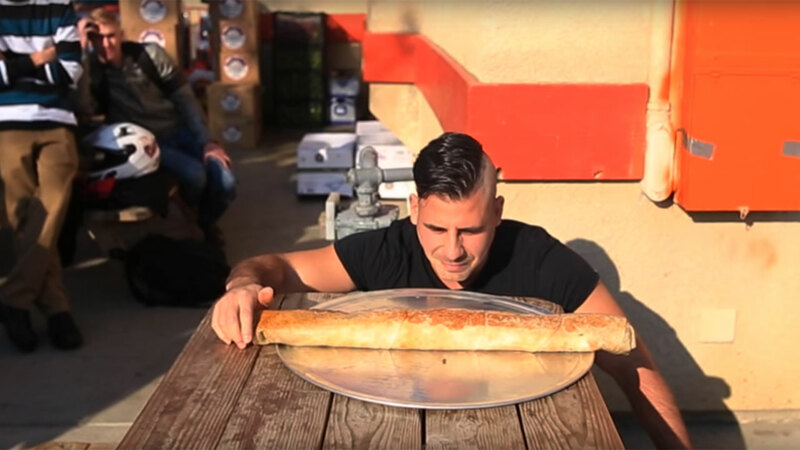 Pablo Martinez, a competitive eater ranked 18th in the world with major league eating, decided to take on the burrito. "Burritos are my specialty-- this will definitely be the longest burrito I've eaten." Edwin Espinoza the creator, said many have tried and all have failed. Normally the burrito is sliced and served to a family of four but for Martinez, only one piece on a platter will do. And to make things interesting, we decided to make this a speed run. And after 13 minutes Martinez became the first person to ever conquer the Anaconda. "Mark my words, I won't be the last. There will be others who will come to do this."